Dr. Janice Fortman, believes that whatever you perceive, you can achieve. She has always wanted to be a person who motivates others to reach their highest potential. Dr. Jan is a motivational speaker, an authentic keynote speaker, corporate trainer, educational specialist, and life coach for organizations, companies and individuals around the globe. 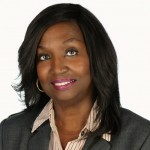 Dr. Janice Fortman believes that communication is the foundation for all relationships, both personal and professional, therefore, people's opinions of you or your organization are formed by the way you communicate both verbally and non-verbally. Dr. Jan is an author, a Distinguished Toastmaster, and award winning public speaker who gives real world solutions in powerful, engaging and memorable presentations. She is a member of the Women's Speakers Bureau and was recognized by the National Association of Professional Women as the 2013/2014 Professional Woman of the Year for leadership in public speaking. She was also selected as a visionary author for Braveheart Women, the largest international online community for female visionaries. Dr. Fortman was honored from 2014 through 2018 as an outstanding volunteer for Age Options, an agency that provides self management skills for older adults with ongoing health conditions. She is considered one of the top ten most influential women on the Southside of Chicago. Dr. Jan presents at the Hawaiian International Conference on Education, Illinois Association of Curriculum and Development, Illinois Council of Exceptional Children, Association of Supervision and Curriculum Development, educational institutions, and various religious and business organizations. Her book entitled "The Little Book of BIG Behavior Interventions" presents the common misbehaviors of pre-k and elementary school children and is popular with teachers who are faced with challenging misbehaviors in the classroom. Dr. Jan is most passionate about her latest book "The Secrets To How Not To Throw Mama From The Train", that focuses on the relationship between adult daughters and their aging mothers, with related workshops that offer insight, advice and solutions on resolving conflicts in this complicated and dynamic relationship. What is the Secret? Effective Communication! Whether you are looking for a speaker for a small intimate group, or large conference, your participants will leave with real life solutions and action plans. I can be reached at 1-887-66-SPEAK, Jan4now125@gmail.com, or www.drjanicespeaks.com. First Place in the 2018 APS Book Awards non-fiction category for the book "The Secrets To How NOT To Throw Mama From The Train"
Find out more about Dr. Janice Fortman - at http://www.drjanicespeaks.